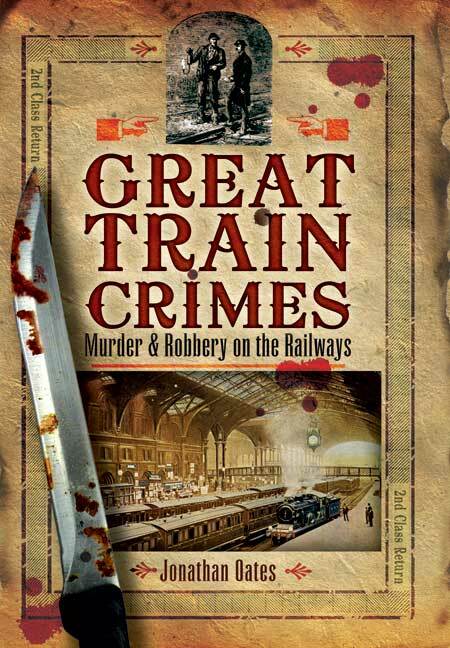 You'll be £9.99 closer to your next £10.00 credit when you purchase Great Train Crimes. What's this? Dr Jonathan Oates is the Ealing Borough Archivist and Local History Librarian, and he has written and lectured on aspects of the history of London, including its criminal past. His books include several volumes on West London in the Images of London series as well as Foul Deeds and Suspicious Deaths in Ealing, Foul Deeds and Suspicious Deaths in Lewisham and Deptford, Unsolved Murders in Victorian and Edwardian London and Unsolved London Murders: The 1920s and 1930s. He has also published a study of the Jacobite rebellion of 1745 and Sweet William or The Butcher? The Duke of Cumberland and the '45. This is a very interesting and readable book, I would recommend it highly. If you think train crimes stop at Agatha Christie's 4.50 From Paddington or Murder on the Orient Express, this book will be an eye-opener. Jonathan Oates charts train crimes from the Victorian period to the present day, from casual murder to calculated robbery. Included are the Gold Bullion Robbery of 1855, the ghastly death of a railway servant in a station's booking office, terrorist bombs on the Underground in the 1880s, murder on the Brighton line and The Great Train Robbery of 1963. The variety of crimes in surprising, as are the stories behind them; a must for true-crime addicts.